Located in Passaic, New Jersey, USA, Geiger Tool & Manufacturing Company is a cnc machine shop specializing in machining for electronics, medical devices, aerospace and general commercial applications, serving the industry since 1947. 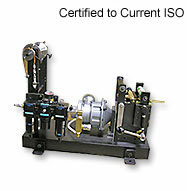 Certified to be compliant to the International and Aerospace Standards since 2003. At GEIGER we specialize in cnc machining and Complex jobs and unusual materials, prototypes and custom designs. See our Products page for additional information on the products and services available at GEIGER. GEIGER has state of the art Computer Aided Design capabilities as well as extensive manufacturing capabilities including 5 axis milling. 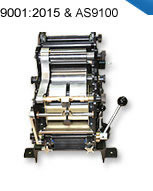 GEIGER Tool carries a variety of Proofing Presses to choose from, such as the Geiger Gravure Proofing Presses, the Geiger Production Press, the Geiger Laboratory Printing Center and the Geiger Combo Gravure - Flexographic Proofing Press. 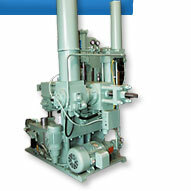 For over 30 years, Geiger has set the industry standard for the Gravure Proofing Presses.